A mattress is a big-ticket purchase, which is why buying a waterproof mattress protector is the sensible thing to do, whether you're protecting a toddler mattress from the odd night-time leak or your own from the inevitable spillage from your morning cuppa. We've found the best waterproof mattress protectors for every size of bed – read the reviews then click to buy or to find out more. Find more best mattress protectors, waterproof or otherwise, in our buyer's guide. For more mattress buying tips, head to our dedicated mattress page; or, if you're on the lookout for a mattress deal, we've got the cheapest for this month. Whether it’s perspiration, leaks or the odd cup of tea, a waterproof mattress protector can be very valuable in preventing liquids getting through to your mattress, keeping it fresh and hygienic, and allowing you to stay comfortable enough to sleep through the night. For big beds, our top pick is the Tempur Fit Mattress Protector, which wins the day with its naturally breathable cotton construction and discreet design. 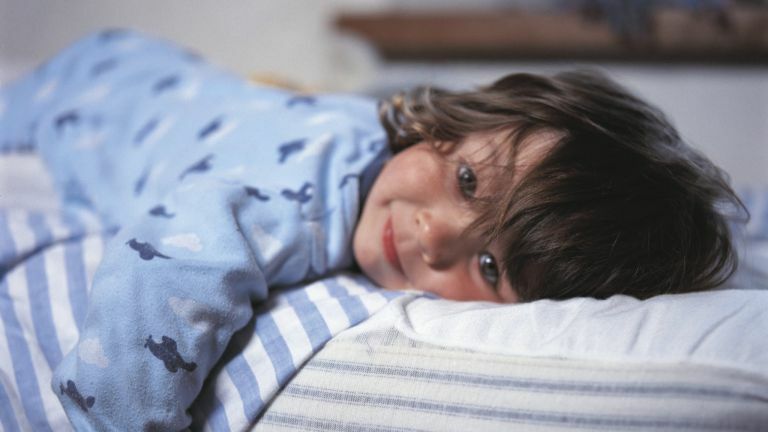 For smalls, it’s the Hippychick Single Mattress Protector, which comes in single and cot bed sizes, or the Dreamzie Waterproof Mattress Protector for sizes from toddler up to super king. To be the recipient of a Mother & Baby Gold award, this Hippychick mattress protector had to be something special, and it is. With its discreet design, the desired effect is that it won’t look or feel as if they’re sleeping on a waterproof cover, and the polyurethane layer that provides the waterproofing is both capable and breathable. When it comes to the outer, there’s equally breathable brushed cotton, which parents say is enormously comfortable, loving its ability to be washed at 60ºC and tumble- or line-dried. See more Dunelm mattress and bedding protectors. Not unlike our previous Hippychick pick, this Tempur mattress protector’s charms lie in its discreet protection and breathability, only scaled up for bigger beds. Perhaps unsurprisingly, it’s ideal for use with Tempur mattresses, not only because the intelligent polyurethane membrane keeps any errant moisture away from your high-end mattress without sacrificing comfort, but also because the relative thinness of the protector means you won’t lose out on any of that memory foam goodness, combining support and dryness admirably. Read our memory foam mattress buyer's guide for more on these mattress types. Shop more John Lewis mattress protectors. Unlike a traditional fitted sheet, which covers all sides of the mattress and clings underneath, this flat sheet sits neatly on top, allowing the mattress to breathe from the sides and underneath to keep baby from an over-warm sleep. As well as waterproofing and breathability, this cot bed mattress protector from The Little Green Sheep offers an anti-allergy layer to keep dust mites at bay, and is made from breathable and absorbent luxury cotton for the utmost comfort. Browse more Boots mattress protectors. An ultra-soft and cooling feel comes courtesy of a poly-cotton blend in this waterproof bed cover, and best of all, it doesn’t look or feel anything like the crinkly, sweaty plastic sheets that haunt our thoughts when we summon up images of waterproof bedding. It’s earned hundreds of positive reviews for its amazing leak-proofing, thanks again to good old polyurethane membrane, but the difference between this one and previous picks lies in its ability to cover deep-sided mattresses for all-round protection. Those on a tight budget will be glad to find that there are some top-value options among our best sheets for bedwetting, like this one from Silentnight. Compared to some higher-end options, users did report it rustled a little when moving about, but found this tended to disappear after a wash, and once it was put on the strong elastic kept it perfectly in place all night. It’s also fully hypo-allergenic to keep irritating reactions at bay. A great no-frills option. Browse more Amazon mattress protectors. This hypo-allergenic mattress protector offers peace of mind on two fronts, with its capable waterproofing and seal of approval from the experts at Allergy UK. If you’re worried about bed bugs, dust mites or any other allergens that might leave little ones with nasty itches or sniffles, you can rest assured with this one, and they can sleep easy too. Users found it durable and well-made, and applauded its waterproofing capabilities which, in addition to the soft cotton cover, make this a great mattress protector for cot beds. This waterproof mattress topper from Dreamzie isn’t just reasonably priced, it also comes in every single mattress size you can think of – European and UK sizes included – from toddler upwards, so it’s a one-stop shop if you need to get a few. Users found that the quality of this protector belied the bargain price, saying that it fits snugly and stays put, and combines a comfortable soft towelling feel with breathable polyurethane waterproofing in a discreetly designed package. Users were delighted with the fit and quality of this mattress protector, saying that it sat snugly on all mattress sizes with no annoying excess material, and that it beat thinner protectors they’d previously tried hands-down. It was commended for its luxuriously soft feel and comfortable quilting, but the only potential issue some spotted was that it couldn’t be tumble-dried, so if the weather’s too cold and damp for proper air-drying, you might want to consider investing in a backup. Like our Little Green Sheep crib mattress protector, this offering from Bloom is a flat sheet rather than a fitted sheet, forming a layer between the mattress and your upper sheet to stop any spills getting through. Users were very impressed with the quality of the fabric, a supremely soft cotton flannel, saying that it stood up beautifully to washing and didn’t present any unsightly pilling. They also found that it stayed put during the night, so if you’re worried about a flat sheet being less stable, don’t be discouraged just yet.